News sites across the country struggled with how to handle shocking video of a gunman shooting a TV reporter and cameraman live on air, with most cautiously airing at least some of the video. News outlets that aired video of the shooting used footage taken by cameraman Adam Ward before he was shot and killed. Gawker, the New York Post and the New York Daily News also showed a separate video taken by the shooter. 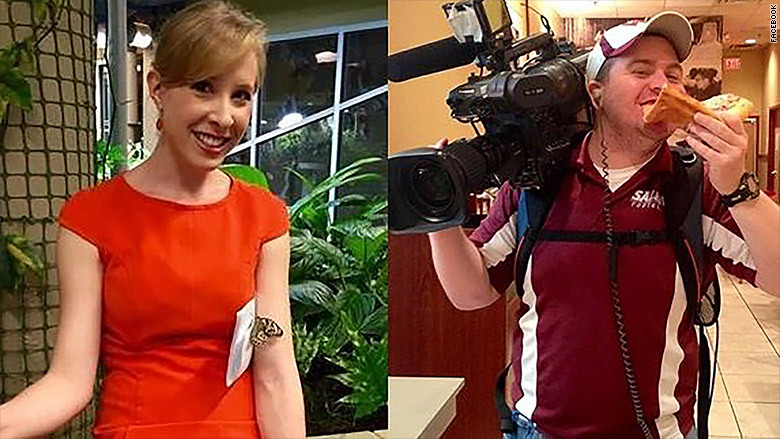 The video shows the gunman, Vester Flanagan, walking up to WDBJ reporter Alison Parker and Ward, raising his gun and aiming it point blank at Parker before the video cuts out. None of the publications showed a second video taken by the gunman that showed him firing at his victims. But the Daily News and the Post used stills from that second video showing the muzzle flash from a shot and a photo of a terrified Parker at the moment she has realized she was being fired upon. Gawker Executive Editor John Cook explained the site's decision to show some of the footage, which had been uploaded by Flanagan to Facebook, Twitter and YouTube. "The fact that the shooter had posted his own footage of the murders on his Twitter and Facebook feeds was a grotesque and newsworthy development, and we decided to show our readers a snippet of that video -- again, in a format where they had to choose to view it -- but not the moment of the actual shooting." Kelly McBride of the Poynter Institute, which studies journalism practices and ethics, said that using the shooter's video -- or part of it -- had value. "There is a journalistic purpose to airing the shooter's video because it speaks to his warped state of mind. But you have to find a way to convey the important elements without buying into the shooter's message and feeding the voyeuristic scariness of it," McBride said. Viewers who wanted to watch the footage on Gawker, like on other digital news sites, had to manually click the play button. Most other media outlets took more conservative approaches to airing the video. During broadcasts, MSNBC and NBC News froze the video taken by Ward before the gunshots and screams could be heard. The guideline for the network's digital platforms was that the audio had to be stopped after the first gunshot, but the video could continue without audio. The video carried a slate warning that "this video may be disturbing to some viewers. Discretion is advised." ABC News' guidelines for both on air and digital platforms allowed for the video to be shown, but required it to stop before the gunshots or screams could be heard. CNN's guidelines for TV restricted airing of the footage to once an hour. It could not be played in a loop and had to be preceded by a warning to viewers. Around 2 p.m. CNN decided to stop the footage right before the gunshots and screams. CNN.com and CNNMoney.com showed only the video of the live broadcast and included a disclaimer. The video was shown without ads and autoplay was disabled. Neither CNN.com nor CNNMoney.com posted video of the shooting to Facebook, Twitter or any other social media. Fox News didn't show the video on air and used only still images. The New York Times didn't display the video on its site but provided a link to the footage and noted that it was "disturbing." "We decided to link to the video rather than embed it on our site as a way of giving our readers the option of viewing it — with a warning about its sensitive nature — rather than forcing a disturbing video on anyone who came to our site," the Times said. Buzzfeed showed the video on its website with the following message: "WARNING: The below video shows the moment the assailant opened fire on the reporter and her reaction."